Thursday, 9/4, was the first day of the new academic year for Newark (NJ) Public Schools, now implementing the controversial One Newark Plan, which combines charter and traditional public schools into a single Newark Enrolls system. In response to the plan and lack of community input on it, a group called Parents United for Local School Education (PULSE) has been calling for a boycott of the school system. “The superintendent announced this plan as an opportunity of choice, but what it’s turning out to be is an opportunity of chance,” says Sharon Smith, a co-founder of PULSE. Local news stations are reporting that at least a thousand students still had no school assignment just days before the academic year was to begin. New Jersey News 12 found one family with five children, all assigned to different schools, and individual parents reported being denied entry to their neighborhood schools with assignments miles away instead. After months of meetings and hearings at which citizens felt ignored, the boycott calls for “community-elected local control” and “community-driven sustainable schools, where parents, teachers and students have input,” as well as a” halt on the One Newark Plan and Newark Enrolls. In conjunction with the boycott, organizers are arranging for Freedom Schools while students remain outside the official system. They are fundraising for supplies and meals for students. Yesterday, the American Federation of Teachers New Jersey announced that teachers stand “in solidarity with the Newark community in calling for the state of New Jersey and the city of Newark to listen to Newark’s parents, students and community and to act immediately in the best interests of Newark’s future.” President Donna Chiera issued a statement discussing problems with the enrollment process, as well as disregard and disrespect on the part of Gov. Chris Christie when community members raised concerns about the One Newark Plan itself. 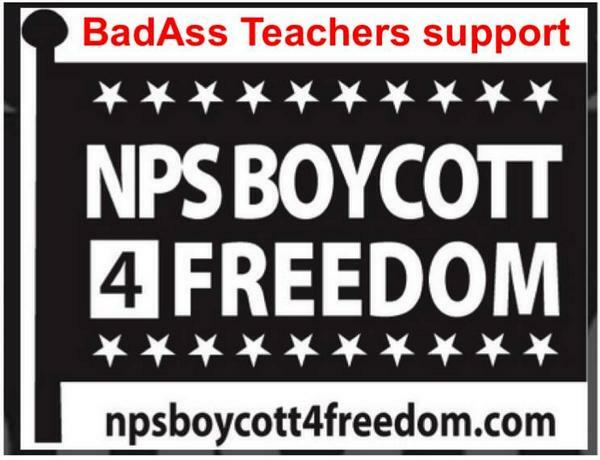 “We know that concerned parents are not making the extraordinarily difficult decision to boycott school without having explored and exhausted all other plausible options,” the statement said. Newark Mayor Ras Baraka has spoken out in support of students and parents. He appeared at Hawthorne Elementary School Thursday morning in support of the boycott. Community members report empty school buses this morning and attendance of only 50% at one elementary school. New Jersey’s News 12 reports “planned boycotts are happening,” but further details were not immediately available. Check back for updates. See also, Color Lines. We Act Radio is in communication with the office of Mayor Baraka and others in Newark. The Education Town Hall plans a program focusing on this boycott and the underlying issues soon. The Abbott Leadership Institute at Rutgers University in Newark will host a forum on urban education in light of the Newark Public Schools open enrollment plan that has parents and families upset and raising questions about registration, transportation, school placement, new schools and principals. 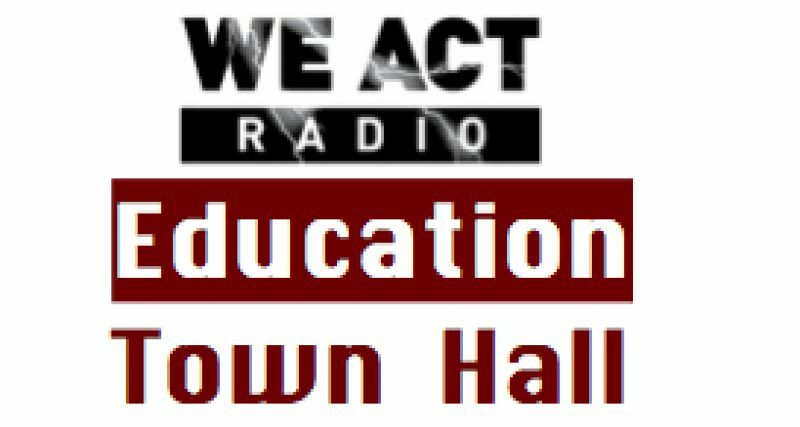 The forum, tittled “What’s Going on in Newark Public Schools,” is co-sponsored by the New Jersey Working Families Alliance and will be held from 10 a.m. to 1 p.m., Sept. 13 in Boyden Hall, Room 100, 195 University Avenue, Rutgers University in Newark. Daryn Martin, a Newark parent leader; and Ramon Melendez Jr., a student leader. Next Post: Rocketship: Business Product or Educational Enterprise?